Good news. And also goodish news. In my last blog post I said I was ducking out of Twitter and Facebook for a while because I was writing a book. I'd reached the crunch stage of writing where I needed to really focus and those things were just too distracting. Well I ended up spending 38 days in the wwwilderness and it did me the power of good. I have handed my publisher a completed manuscript. Now it's just a matter of waiting for the lawyers to tell me what is and isn't allowed. Which might be interesting. Anyway, it's called Too Much Information (or Can Everyone Just Shut Up For A Moment, Some Of Us Are Trying To Think). I was so wrapped up in my own head that, when I decided to bin social media for while in order to concentrate it didn't even occur to me that I was basically enacting the subtitle. It seems obvious now. Heigh ho. Anyway, it won't be out until early June, but if you're especially keen, you can pre-order it here. But that's sort of by-the-by, because I have some more timely news. 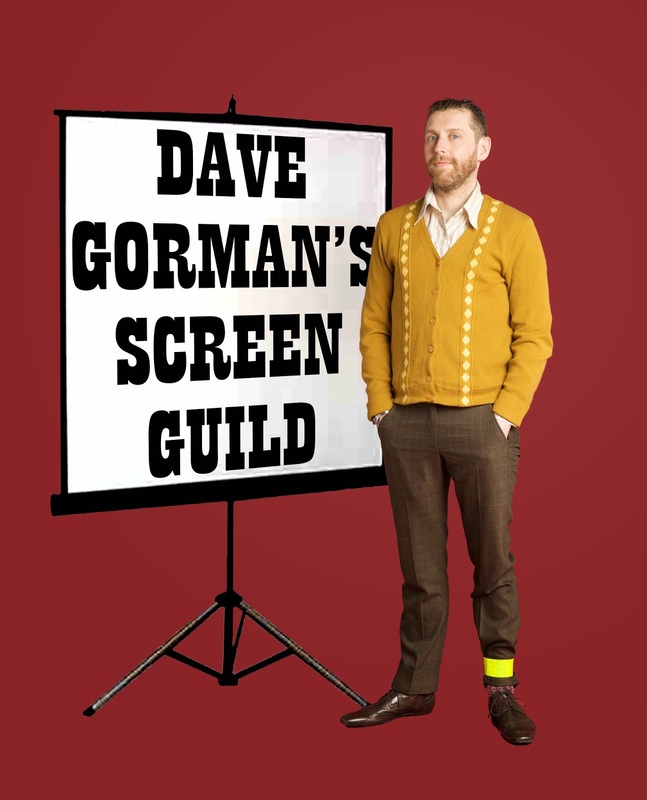 I'm launching a new season of Dave Gorman's Screen Guild - my new material playground. I have a new tour coming up in the autumn. Obviously it's going to be a completely different show to the Powerpoint Presentation tour. There's only one sensible way of generating new material: trying it out live. If I did one-man-and-a-microphone stand-up that would be easy, there's no end of clubs where you can grab five or ten minutes of stage time... but I don't... and 12ft by 9ft projection screens don't fit in most clubs. 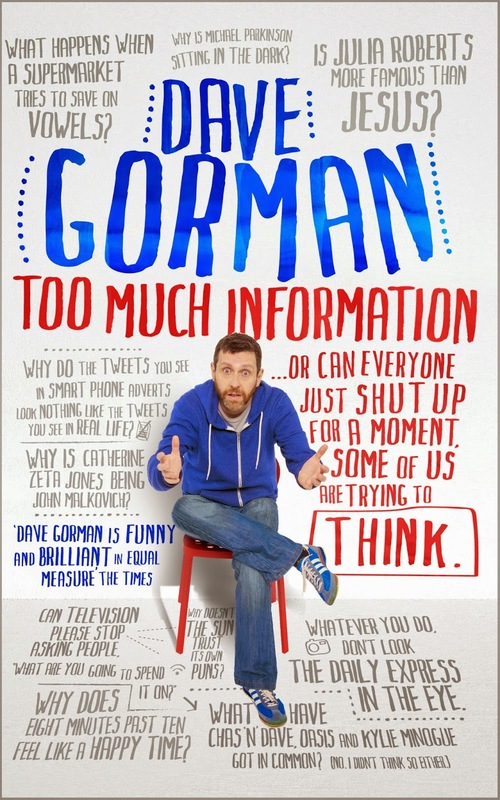 Which is why I started my own: Dave Gorman's Screen Guild. It runs monthly. I book the guests so I know the audience will get a good show. I introduce them and in between I get to try out as much new stuff as I can muster. It's where all of the material for the last tour was blooded and the second season helped enormously with the TV show too. Anyway, the third season starts on February 13th and runs on the second Thursday of the month through to June. It has a new home, The Hackney Attic at the Hackney Picture House and of course, the details are all on the Live Dates page of my site. And finally the goodish news. 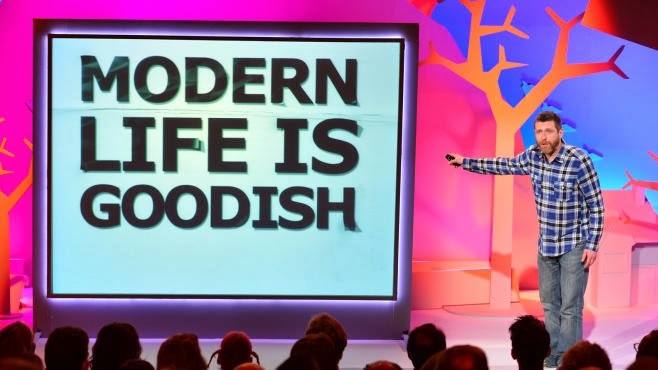 Modern Life Is Goodish is the TV series I made for the channel Dave last year. It is, I think, the first thing I've made for TV that is actually a reflection of what I do live. It was a fantastic opportunity, a real privilege - and a pleasure for me from start to finish. I'm thrilled to say that the 6 episodes went down really well - it was the channel's highest rating new commission of last year. It'll be a while before we have a schedule for them, but if you want to be in the audience when we do film them, my mailing list will be the first to find out about the free tickets. 2014 has got off to a pretty good start!